It is a well-known blood purifier and excellent to treat skin disorders. It is described as Rubia cordifolia or Indian madder. Due to its anti-allergy, anti-inflammatory, anti-bacterial and anti-oxidant properties it is excellent for all purifying needs of the blood and skin. When used on injuries it protects the raw skin. 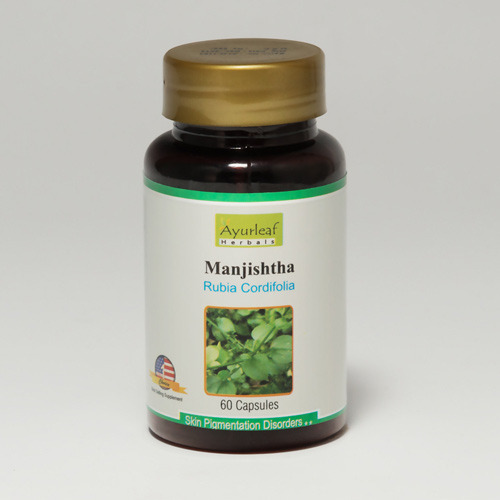 It is also used to cure fever, ulcers acne, scabies and is effective in hepatitis treatment. When the patient complains ofHyperpigmentation, dark tan, sunspots, aging spots, itching of skin and eyes, eczema or dermatitis. Swallow two capsules with watertwicea day after the meals.